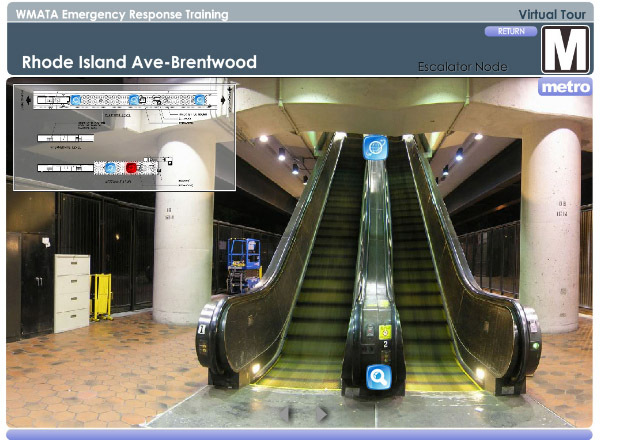 WMATA Emergency Training - MetaMedia Training International, Inc. 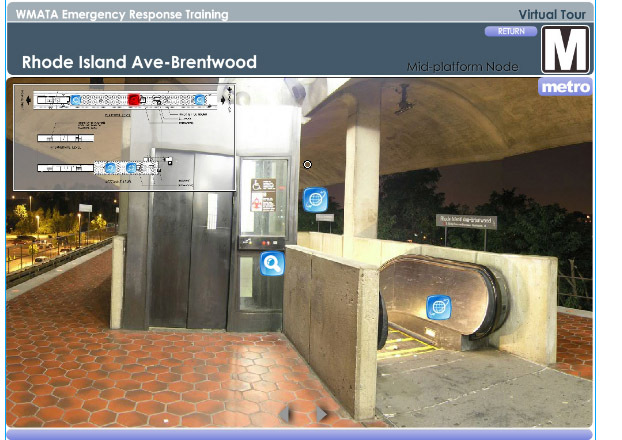 Description: Multiple jurisdictions handle responses to incidents for the Washington Metro system. MetaMedia developed a training program to address all of these emergency response jurisdictions as they relate to safe and effective fire and medical emergency operations. 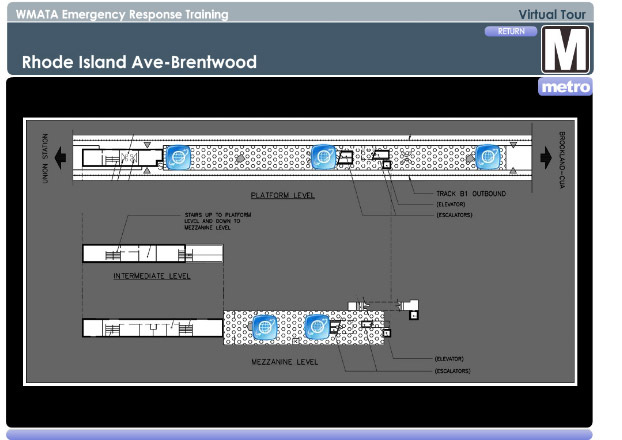 Separate facilitator guides, presentations, and videos were developed for each of three levels of trainees: Metro employees, first responders and incident commanders. 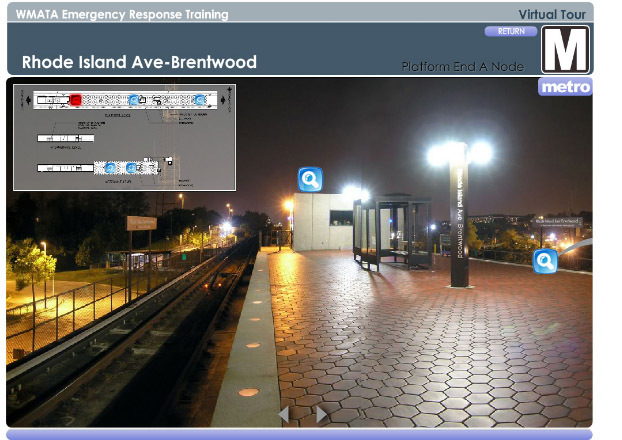 The panoramic views of the Metro stations were part of the training for first responders to help them learn the layout of the three station platform configurations in the system: above ground, ground level, and below ground.